The Decker Pack Saddle comes complete with the half breed and a cinch (please specify size when you order) at no extra cost! The saddle can be rigged with a single or double cinch. All straps are made out of high quality 12 � 14 oz. oiled harness leather. The britchen spider utilizes 4 straps. 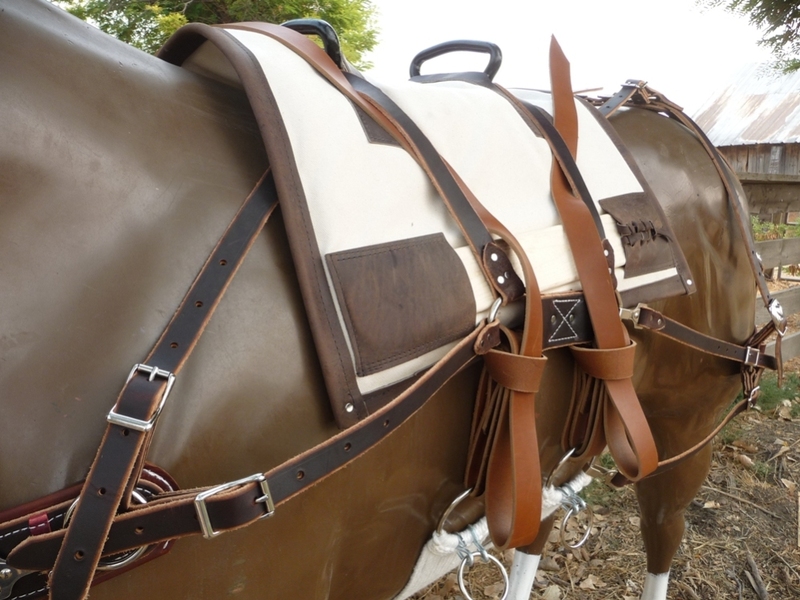 The straps coming off of the britchen have buckle covers, so the tail hair won�t catch in the buckles. The britchen and breast collar are 2.5 inches wide and fully lined with soft chap leather. The Pack Saddle comes standard with nickel plated hardware (upon request stainless steel or brass hardware can be substituted at extra cost). We use roller buckles instead of Conway buckles for easy adjustment. The black enameled Decker Irons on this saddle are made of � inch round steel. The wood is pine. QUALITY WORTH WAITING FOR! We strive to make the highest quality product possible. Because each and every Decker Pack Saddle order is custom-made, your order may take a few weeks to ship. 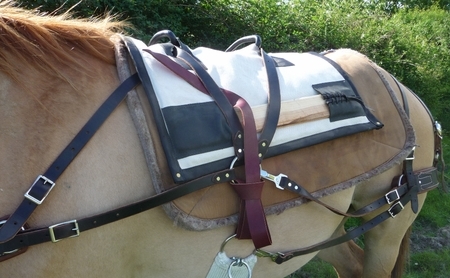 Please take a look at our video about the Pack Saddle. Just click on the link below.